Call us today: 1-855-996-0401 - Ontario Bad Credit Car Loan Experts! 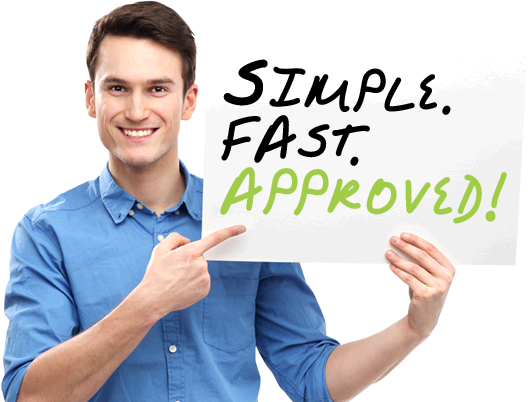 Auto Loan Windsor is your hassle free agent for getting Approved Car Loans Online. Our 99.9% approval rate on Bad Credit Auto Loans is what makes Auto Loan Windsor better! We believe that everybody deserves a second chance! and buying a used vehicle and applying for Car Loans should be easy and stress free. Our easy and secure Online Car Loan Application puts people with Bad Credit, No Credit or Slow Credit behind the wheel of the used vehicle they deserve. Don’t feel comfortable applying for a Car Loan Online? No Problem! Give our financial auto loan expert a call. Your only a few steps away from rebuilding your credit. Our program pre-approves you for a lease, car loan – truck loan from the comfort of your home or office. Driving is a necessity – don’t let bad credit keep you in the passengers seat! Get Approved Today! Drive Today! Our online car loan application is simple, easy and will take only a few minutes to fill out, and we don;t even ask for any real sensitive information. Once submitted your information will be sent to Courtney our credit specialist and she will contact you immediately to start putting all the pieces together to get your loan approved fast! We will not pull your credit report until we speak with you. Congratulations, you are now approved! See how EASY we have made this for you! Now come’s the real fun part: selecting your new car, truck, van or SUV. We have 100’s of new and used vehicles in stock for you to choose from at great prices, so you can be pretty sure you will find that vehicle of your dreams. What are you waiting? Click here to search our online inventory and start driving today! Here’s the keys, your new car is ready to go ! Kevin our credit specialist will contact you to arrange an appointment that is convenient for you at our dealership for you to sign a few papers, get a tour of our state-of-art dealership and meet a few key people in our organization. Then you simply DRIVE AWAY in your new auto! WOW who thought buying a car with bad credit would be so easy?! Simple, FREE, No Hassle, No obligation pre-approval used auto loans for people with Good Credit, Bad Credit or No Credit. A smart way to get an approved car loan and re-establish your bad credit! AutoLoanWindsor.com is Specialists In: Bad Credit Car Loans - Auto Financing Ontario - Car Loans Online - Used Car Loans Financing - Auto Loans Ontario - Bad Credit Auto Loans We have Financing For Everyone and is the easy online car loan financing solution for anyone needing to buy a car with bad credit. Looking for Bad Credit Car Loans Windsor – Bankruptcy Car Loans Windsor – Auto Financing Windsor Ontario Canada? We have you covered! Don't Live in Windsor, Ontario? No Problem! We have helped people with all credit situations all throughout Ontario including Windsor Ontario, Chatham Ontario, London Ontario, Sarnia Ontario and more!